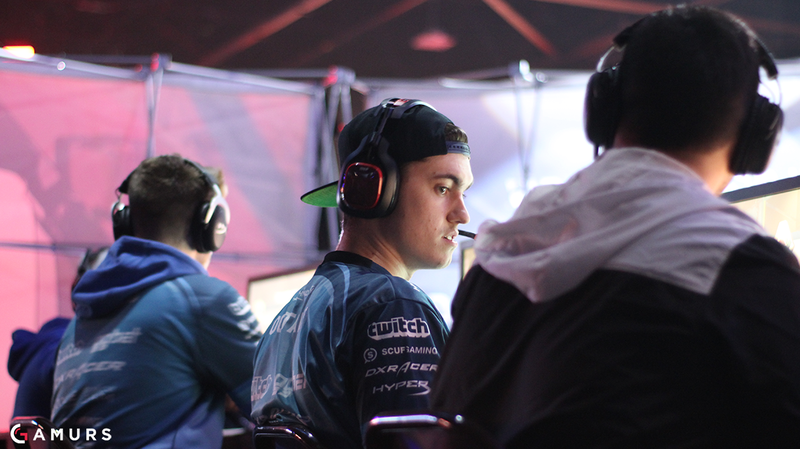 Octane looks back on CWL Atlanta as a whole, following Luminosity’s fourth place finish. Earlier today, Luminosity Gaming concluded their tournament run at CWL Atlanta with a fourth place finish, losing a highly-contested 3-2 series against OpTic Gaming in the seventh round of the losers bracket. The roster consisting of Sam “Octane” Larew, Nicholas “Classic” DiCostanzo, Josiah “Slacked” Berry and Renato “Saints” Forza put on quite a performance over the weekend, starting with their 4-0 perfect record in pool play. Octane reflected on this entire tournament as a whole, starting with what he thought contributed to his team’s strong showing in the group stage. As Octane said, Luminosity went on to defeat Rise Nation, the defending champions, in the first round of the championship bracket. Octane, Classic and Slacked all went up against former teammate Daniel “Loony” Loza, the captain of Rise, as Luminosity earned the 3-1 series win. Earlier this weekend, Slacked told us that he thinks one of the biggest adjustments his team had to make was playing Search and Destroy without Loony. Slacked added that he thinks his team also improved their small talk, and as a result, improved their SnD gameplay. When talking to Octane, he immediately agreed with Slacked on both of these points. After defeating Rise on Saturday, Luminosity began Championship Sunday with a showdown against Team EnVyus. It was an extremely close series, but EnVyUs emerged victorious with a 3-1 series win. Luminosity was sent down to the losers bracket, where they defeated Team Infused 3-0 before falling 3-2 against OpTic. Despite earning a fourth place finish, Octane was very direct when giving his thoughts on this event as a whole. “Our overall placing looks good on paper, but is bad personally,” Octane said. On the other hand, for most North American teams, including Luminosity, this was their first event since the OSA and Synaptic (aka Skinny Bot) combat rig were banned. Comparing the old meta to the new one, Octane definitely said that he enjoys playing his style more with both of those items removed from competitive play. Looking ahead to the CWL Paris Open next weekend, Luminosity will not have their set roster, as Casey “Pandur” Romano will be standing-in for Saints. Octane used to play with Pandur a while back, so this isn’t completely uncharted territory for him; and he is definitely looking forward to playing with old friend once again. Overall, Luminosity truly had a great performance in Atlanta; although Octane might not be personally satisfied with the result, his fourth place finish helped Luminosity earn a good chunk of pro points, which will be crucial down the road. Luminosity has noticeably improved since Vegas, and if they continue on this upward trend – leaving Paris as an outlier – this squad could see continued success throughout the rest of 2017. What were your thoughts on Luminosity’s performance at this event? Let us know by tweeting us @GAMURScom.